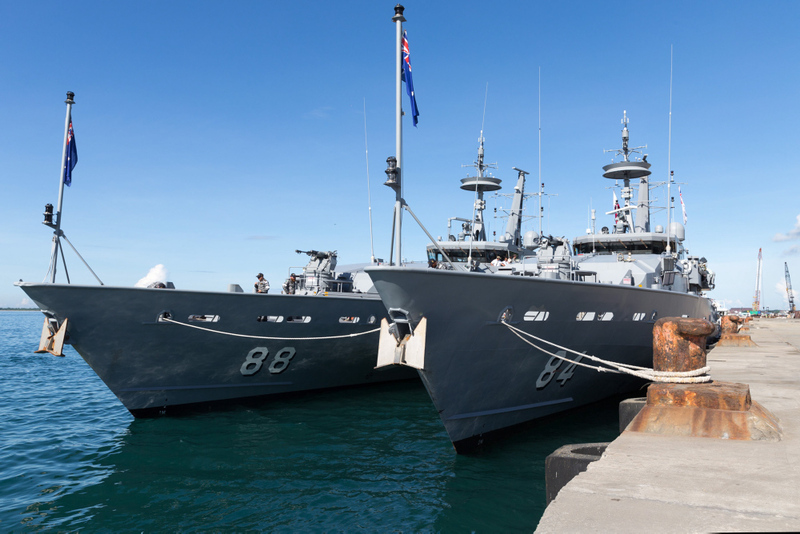 The government is expected to announce soon the successful bidder for Project SEA 1180, to replace the 13 Armidale-class patrol boats with 12 larger offshore patrol vessels (OPVs) to fulfil the maritime constabulary role, with a secondary role in military patrol and response. ASPI recently published my Strategic Insight report on the project. Construction of the first vessel should commence in 2018 and the last vessel is expected to be delivered by 2030. The government has decided to build the first two vessels in Adelaide starting in 2018, with construction of the remaining 10 vessels to be transferred to Perth once construction of the future frigates has started in Adelaide. 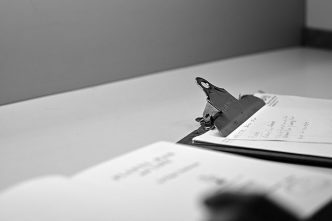 This split-build process might strike the reader as an odd way of doing business. The explanation for the split-build (and the tight project schedule) is the government’s naval shipbuilding plan. 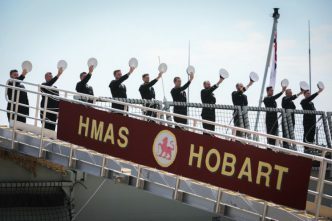 The plan envisages establishing a long-term industry to build naval ships in Australia, and hopefully be competitive enough to export products and services. 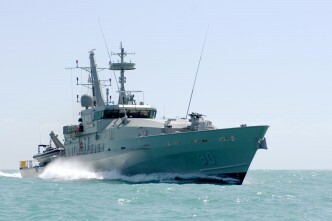 A key requisite of any industry is steady work and the government is using the OPV project to provide enough work to sustain a core naval shipbuilding workforce in Adelaide in the interval between completing the third air warfare destroyer and starting construction of the first frigate under Project SEA 5000. I have argued that splitting the build has no benefit for the OPV project. Rather, it introduces inefficiencies into the construction process and increases the cost. Just because constructors can produce OPVs despite the inefficiencies doesn’t invalidate that observation. Is the shipbuilding plan worth the additional risk that’s being assigned to SEA 1180 by the split-build? For the split-build to be a reasonable strategy, the benefits that flow from continuous construction in Australia would have to outweigh the costs to SEA 1180. ASPI and other commentators have discussed the merits of that argument—and of the economics of local shipbuilding more generally—a few times now and have raised several concerns. 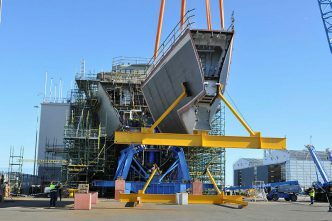 First, while we don’t know the cost structures of the bids, it is very likely that naval shipbuilding in Australia carries a cost premium compared to the most efficient overseas construction. Any cost differential represents funds that could be spent on additional capability for the OPVs or something else in Defence (or schools, hospitals, or environmental adaptations for that matter). 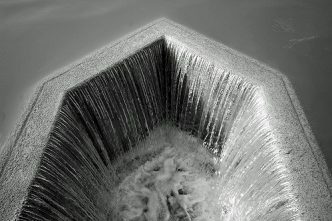 Inefficiency equals tangible opportunity cost. Local construction might be defended on strategic grounds if it provides a sovereign capability to obtain or modify platforms and systems optimised to Australian requirements, or to sustain platforms and systems despite threats to timely international supply. But this chain of logic is undermined by the fact that most key sensors, combat management, communication, electronic warfare and weapons systems are imported even when ships are built in Australia. So much for sovereign capability. And, as a close ally of the US, Australia has identified a strategic need for interoperability, which militates against unique sovereign capability solutions. Australia’s alliance also facilitates preferred access to US defence technologies, which undermines the strategic necessity for a sovereign shipbuilding capability. Another justification for local naval construction is national economic benefit in the form of high‑skill/high‑wage jobs and high technology. But that argument overlooks the opportunity cost of the resources diverted from other areas of the economy with higher rates of return on investment. The national shipbuilding plan was approved by government, but we don’t know if the decision was informed by an analysis of opportunity cost or whether an analysis was undertaken. Some claim that naval shipbuilding could become efficient over the long term through exports. But exports are highly uncertain given the tightness of the naval export market. Australia (like other advanced economies) has relatively high wages, which put it at a disadvantage to lower wage-paying shipbuilders. Even the UK, with a splendid record of naval shipbuilding, has struggled to win export orders. Australia’s fruitless collaboration with Malaysia on the joint offshore patrol combatant illustrates how a good proposal, commitment and intense effort from all levels can still be insufficient. Most countries, like Australia, tend to want to build their own vessels, irrespective of economic efficiency. A variation on the export theme posits exports of both civilian and naval vessels. The civilian market has fewer tricky strategic and political factors that are beyond the shipbuilder’s control. However, even there, only Austal and Incat have shown sustained export success. Overall, the justification for the risks of splitting the OPV build rests on the claimed virtues of the shipbuilding plan—but these claims rest on pretty arguable assumptions. Some of those concerns may be addressed in the promised defence industry plan (with a new sovereign defence industry assessment framework to replace the priority and strategic industry capabilities framework), and the defence export strategy. Given the cost to the defence budget, there should be keen public interest. Ben Coleman is a visiting fellow in the Strategic and Defence Studies Centre at the Australian National University. He was formerly a senior public servant in the Department of Defence, where he worked in the areas of strategic policy, intelligence assessment, international policy and capability development. Image courtesy of the Department of Defence.